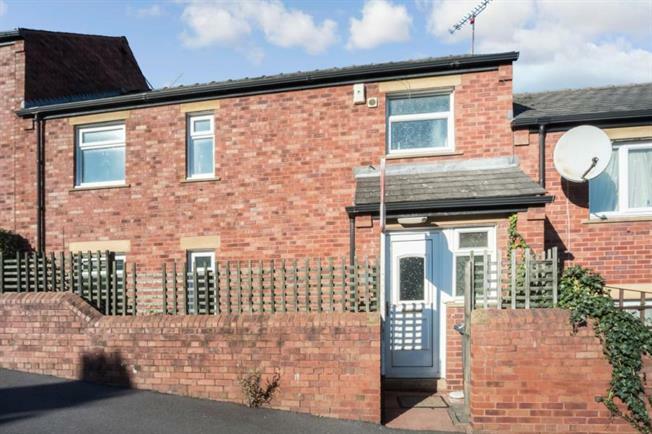 3 Bedroom Town House For Sale in Sheffield for £175,000. An excellent opportunity to acquire this bedroomed town house located in the heart of Walkley, offering accommodation over two levels with the benefit of off road parking, double glazing, GCH, forecourt and rear gardens. Walkley is a sought after and convenient suburb with South Road at its heart providing a wide range of shops, supermarkets, pubs, restaurants, cafes, library and local independent retailers. With excellent public transport links providing access to the city, central hospitals and universities. Schooling comprises 3 primaries with Walkley Primary, St.Marys CofE and Sacred Heart Catholic School. Local walks in the picturesque Rivelin Valley and Bole Hills are nearby. On the first floor, the Master bedroom has wood effect flooring and window to the rear, Bedroom two is carpeted with rear window, bedroom three provides flexible accommodation as third bedroom , study or nursery. The bathroom has modern three piece suite in white comprising WC, wash basin and bath with shower over and slate effect tiled splash backs. To the exterior is a paved forecourt and to the rear a garden with patio and lawn providing an excellent outdoor seating and entertaining area. To the side of the properties is an off road paking area.